Thoughts: A strange episode and I'm not sure I like where the show is heading with Claire's story arc. Where are the feisty woman she was surrounding herself with? Where's Elizabeth and Leann? Has all of the angst of the previous five episodes been for nothing? Has the major plot-line with Frank reset everything? I also feel the dream sequences are poorly done and very simplistic and heavy-handed in what they tell us about Frank's psyche. Compare them with the masterful, surreal and darkly comic dreams that Tony Soprano had when in a coma. Disappointing all round. Running time: 47 minutes. Written by Laura Easland. Directed by Tom Shankland. Vice President Donald Blythe informs the Cabinet of his plan to work jointly with China and billionaire industrialist Raymond Tusk to bail out Russia and bring down the oil price. The US part of the bail out needs to go before Congress. 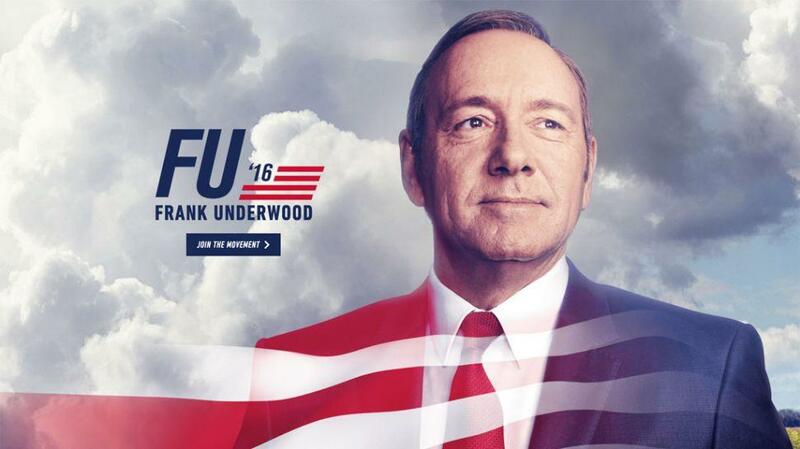 Frank Underwood remains in hospital but continues to dream. He's in a mysterious room full of people with flashing lights and subway train sounds in the background. Claire Underwood is the white rabbit leading him through the crowd. But then he's confronted by Zoe Barnes wearing Claire's dress. He then goes into the Oval Office where Zoe and Claire are both in the room. Zoe straddles him and seems to poke his eyes. She then makes love to the Congressman, Peter Russo, that Frank let die. He appears to be being suffocated by Zoe and Peter and in great pain. 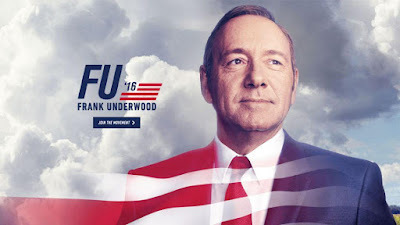 But once the new liver goes in it's just Frank and Claire sitting sedately in the Oval Office. Doug Stamper is furious that the President is only second on the transplant list and pressurises the woman in charge of making the decision. Claire Underwood's campaign manager Leann Harvey's analyst tells her that Governor Conway is manipulating internet search results to get better coverage. The Secretary of State confronts Claire about her insinuating her way into Blythe's confidence. She also reveals that Remy told Jackie Sharp that the Tusk idea was hers. Remy tells Jackie that Claire knows about their affair. The Vice President wants to stay in the US while the President is so ill and sends the Secretary of State to negotiate with Russian President Petrov at the G7 summit in Brandenburg. Claire asks him to send her as well as part of the delegation over the Secretary of State's objections. While on the plane, they learn that Frank will receive the liver of a teenage suicide victim. Claire refuses to turn the plane around to go back to Washington. She calls Seth Grayson to make the announcement which raises gasps in the press corps. Petrov refuses to deal with the SoS and speaks only to Claire. She finally persuades him to agree. When Jackie hears of the deal she ignores Remy's call. The Attorney General clearly ratted Heather Dunbar out after the last episode because she now decides to come clean and admit she met with Lucas Goodwin. Her campaign manager offers to take the fall. Dunbar refuses and gives testimony and even allows the video to be made public. She claims she did nothing wrong. She met with a man she didn't know was mentally unstable. She also accuses the investigation and this interview of being politically motivated. A perceived attack on a deeply sick president goes down badly in the media. Claire returns to the White House and closes the doors on the hospital room that's being created for Frank. The woman from the transplant list sends Stamper a picture of the man who they bumped from the list who has subsequently died, and the family he left behind. Finally, Claire and Frank speak. He approves of the plan and asks her to re-join their political partnership. She seems to agree. We then evidently skip forward some weeks because Frank is back in Cabinet. It's the Underwoods again, contra mundum.